You know her, you love her. And now she's reached a very important milestone. 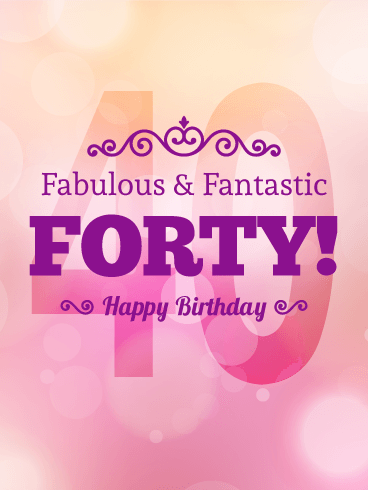 Your fabulous and fantastic friend is turning 40! This card will perfectly suit her, too. It’s pink and purple and delightfully girly, but still bold and elegant…just like her. 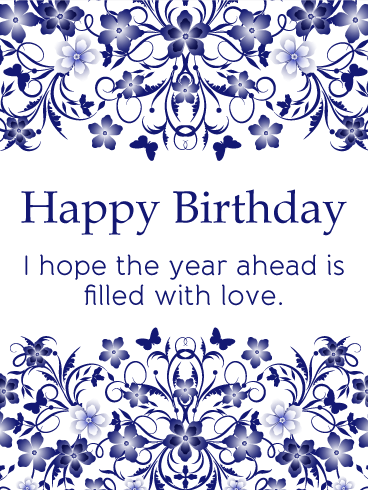 send this birthday card to your elegant friend. 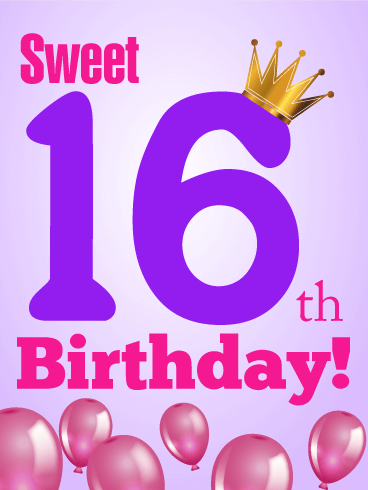 Festive and glimmering pink balloons float over a background of lovely pale lavender to announce the Sweet 16th Birthday of your little princess. 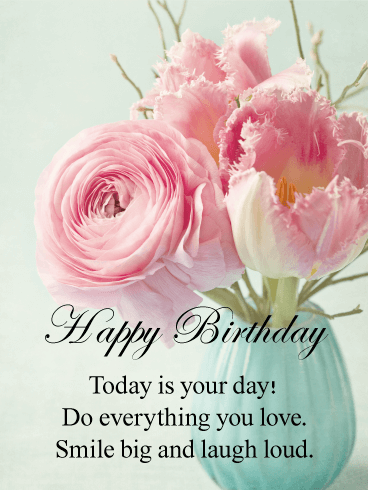 This birthday card will be the perfect way to wish the perfect girl happiness on her big day. Cake is always a good idea. Why wait? Celebrate! 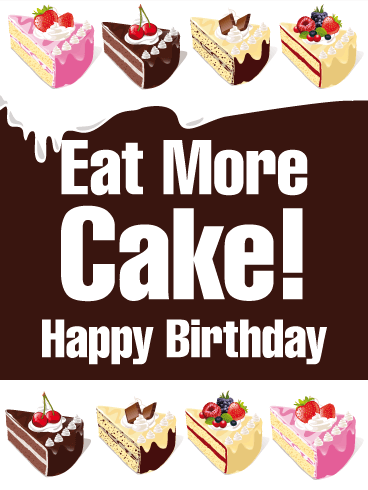 For your friend with a sweet-tooth, deciding to send this funny birthday card should be a piece of cake! Chantilly cream, strawberry frosting, German chocolate layer cake, is your mouth watering yet? 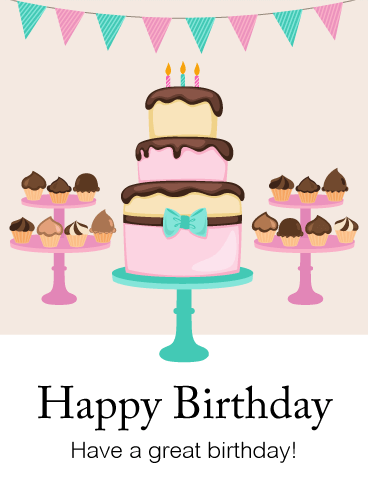 Wish a happy birthday that encourages an indulgent and delicious day! 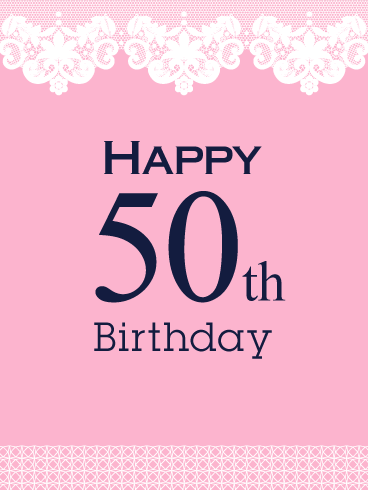 This lovely baby pink card, trimmed by delicate and ornate filigree designs, is just the perfect way to wish someone special a very Happy 50th Birthday! It's flirty and feminine and festive…just like the birthday girl herself! 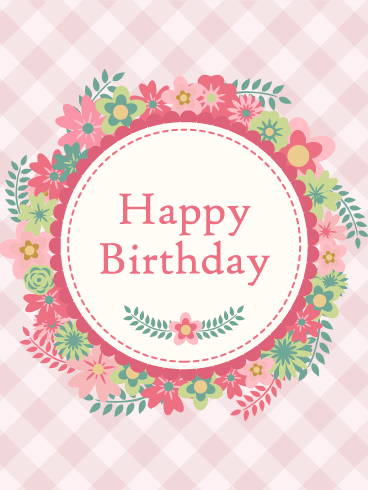 This cute flower wreath birthday card is perfect for your cheerful female friends. Girls love flowers and pink. 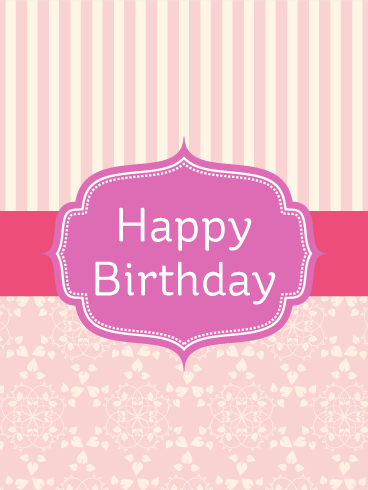 The pink and white pattern make this birthday card look even prettier. 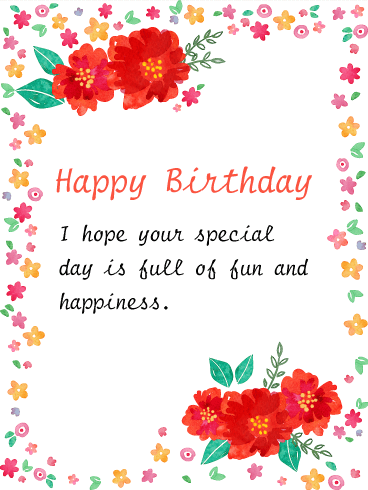 This birthday card will surely bring happiness and joy to a birthday girl. Blue butterflies and flowers dance and burst with loving messages on this classy birthday card. 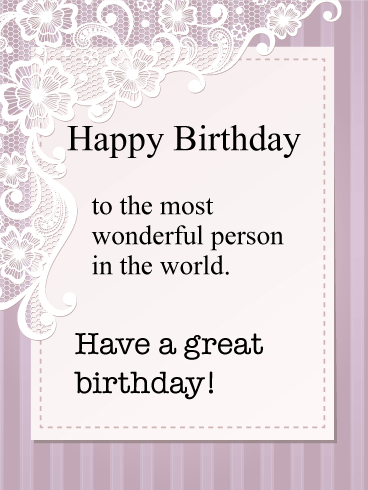 This is a simple and elegant birthday card to send to a special person. Send it now to wish someone a wonderful day and year ahead. 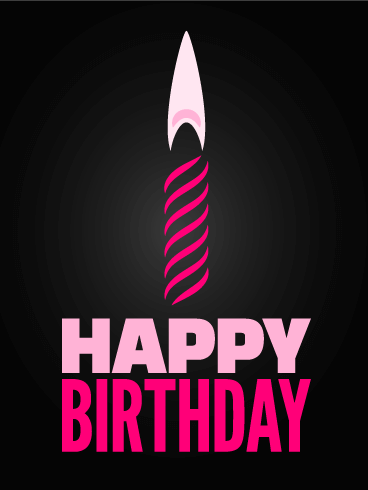 A birthday is the beginning of a new year for every birthday person! 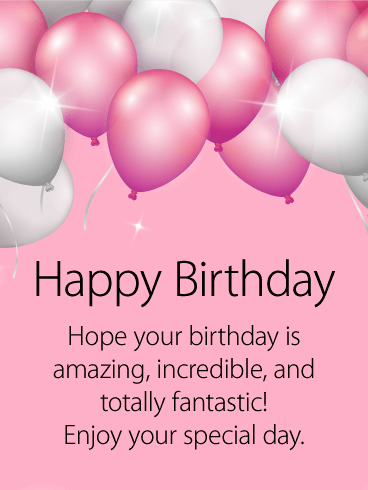 Send this birthday card to encourage the special day. The flowers symbolize a fresh and flourishing year. Wish a bright year to your friends and family.